Mayor DeVenny was sworn in on July 13, 2018, after the sad passing of Mayor John P. Howard. DeVenny served two terms on Lancaster County Council, from 1998 to 2006, and was chairman his last two years. He was also Lancaster’s city attorney and served on the city Planning Commission. He owns Folks & DeVenny law firm on Catawba Street. DeVenny is a South Carolina native from Piedmont. His father is a minister, and his mother is a retired reading teacher from the Greenville County public schools. He went through elementary, middle and high school in his hometown, and then attended Furman University, receiving a bachelor’s degree in Urban Studies. 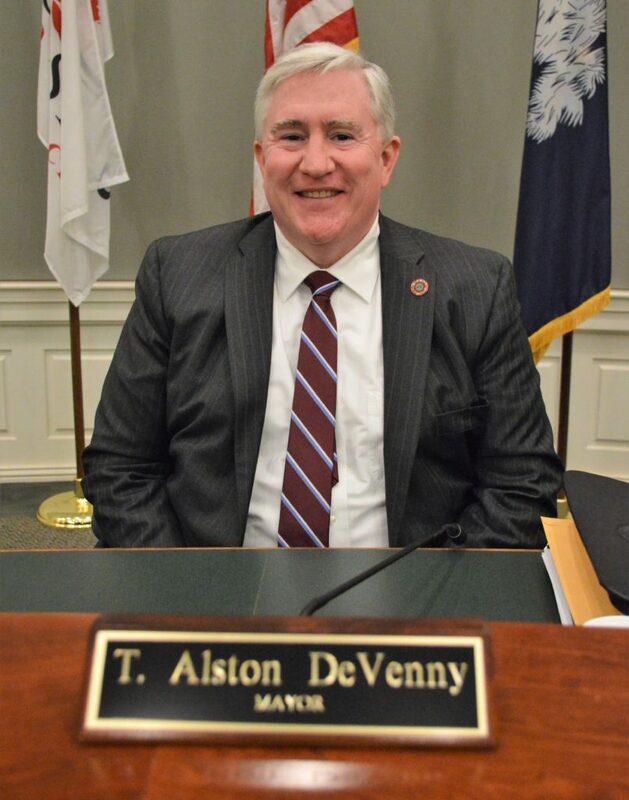 DeVenny graduated from the University of South Carolina Law School in 1988. He and his wife, Susan DeVenny, have four children. They have lived in Lancaster for 30 years.